Eindhoven, The Netherlands, May 20th 2014 – Civolution, the leading provider of technology and solutions for identifying, managing and monetizing content, today announced that Alex Terpstra, CEO, Civolution, will host a Tech Talk on Monday 16th June at the Cannes Lions Festival (15-20 June, Palais des Festivals, Cannes, France). Terpstra will discuss the emergence of TV synchronized ads and how “simulscreen” campaigns bridging the broadcast and online worlds enable brands and advertisers to target viewers on their preferred screen and regain their audience’s attention. The presentation will provide recent insight into solutions enabling brands and agencies to deploy cross-media campaigns, among which Civolution’s Automatic Content Recognition (ACR) SyncNow technology platform. SyncNow’s intuitive technology is possible through the monitoring of 2,300 channels in more than 60 countries. This monitoring process gives a real time identification of a brand and its competitors’ commercials, creating an opportunity to leverage RTB. Upon recognition of an ad, the system sends triggers to RTB platforms, enabling them to bid for inventory on social, mobile and online. Within seconds of a commercial airing on TV, a digital ad appears on the brand’s target audience’s laptop, tablet, or smartphone without requiring a special app or human intervention. In the past, the television screen has been utilized by advertising companies to generate brand awareness and to develop the user’s intent to purchase – the process of moving a consumer from a state of indifference about a product to wanting to buy it. Internet advertising has the added advantage of being able to harvest intent – the process of triggering the transaction. 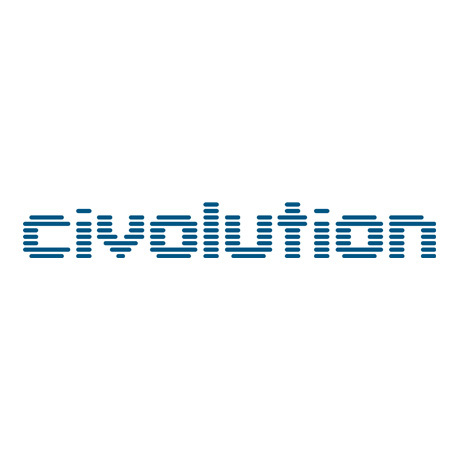 Last October, Civolution released the results of a pilot campaign which demonstrated the efficiency of synchronizing content between the TV screen and the user’s Facebook timeline, which saw a 60% lift in consumer click through rate (CTR) compared to a traditional broadcast ad. The Tech Talk will build upon this data and further release new and exclusive case studies, which not only reaffirm but also propel the importance of “simulscreen” advertising as part of a successful and compelling consumer experience. As second screen becomes the norm, broadcast and online will increasingly converge to offer a single media experience, leading to new advertising business models, in which the impulse triggered by the TV can be acted upon on the mobile device at the tap of a finger. This session will provide guidance for brands and agencies looking to combine their TV and digital ad spend, whether as part of a social advertising mix or a complete media buying plan.